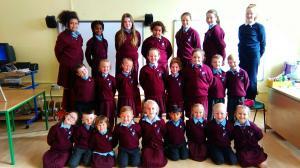 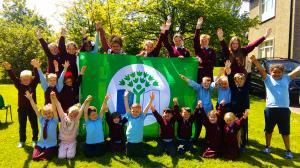 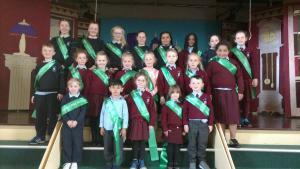 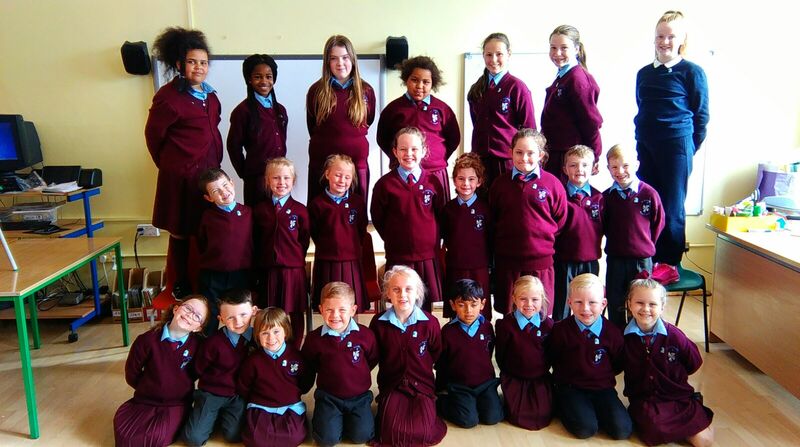 St. Raphael’s is the first primary school in Ballyfermot to receive 5 International Green Flags in a row. 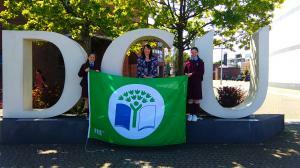 On 24th May 2016, An Taisce awarded St. Raphael’s Primary School our 5th International Green Flag for Biodiversity at the Helix, DCU Campus. Green-Schools is an international environmental education programme. 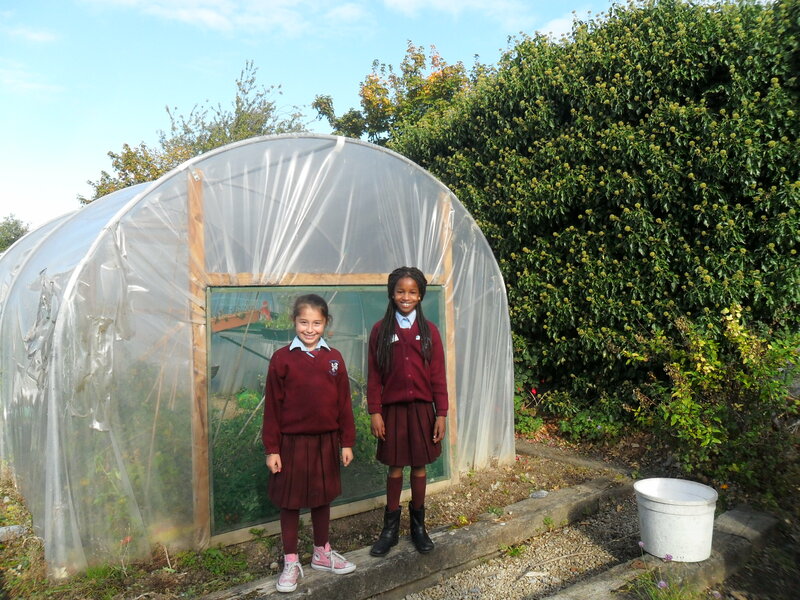 Over the past two years, pupils have been involved in enhancing biodiversity around the school as well as working on themes from previous years including litter and waste, energy, water and travel. 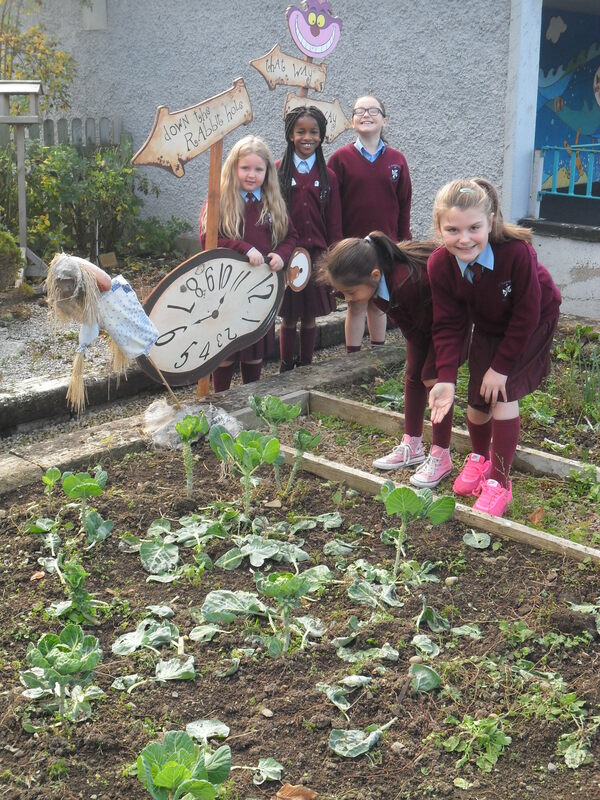 Over the past two years, each class completed a project on various habitats including inland waters and wetlands, marine and coastal, woodland, grasslands, hedgerows, farmland, mountain and mooreland and cities and towns. 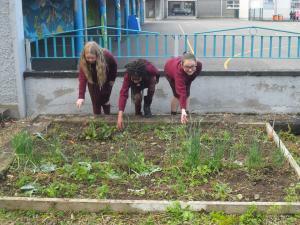 Pupils have planted flowers, trees, vegetables and herbs in the school grounds. 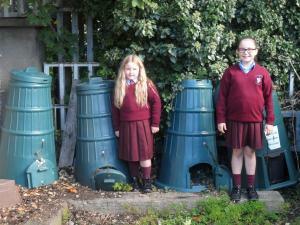 They have also engaged in bark rubbings, nature walks, species surveys and created a womery. 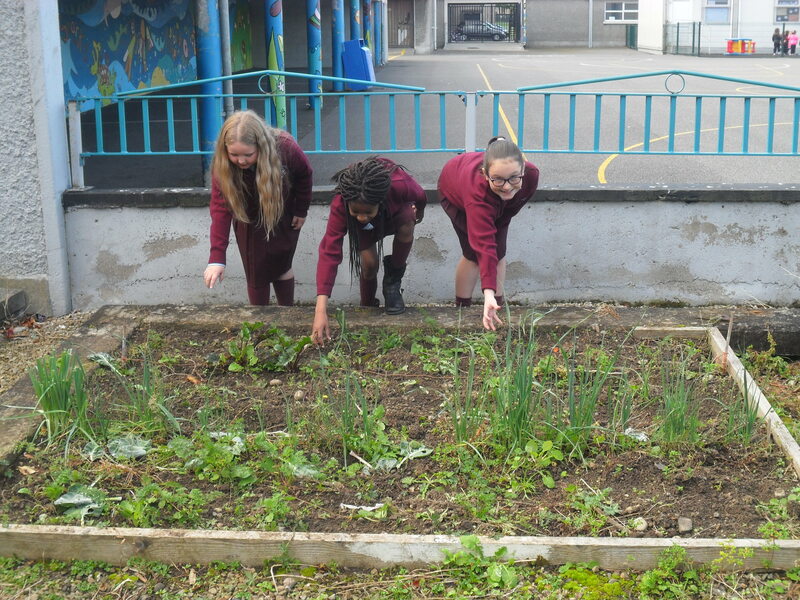 Caretaker, Nick Reid has been instrumental in assisting pupils look after the school garden, taking pupils on nature walks of the school grounds and in sourcing amazing samples of biodiversity including a bonsai tree, a wasp hive, a witch’s broom, scallop shells, a fish tank, a red breasted Piranaha, feral goat horns and fallow deer’s antlers. 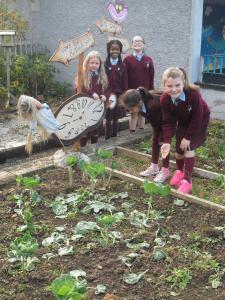 Nick, the green schools committee and all pupils share responsibility for caring for the school garden. 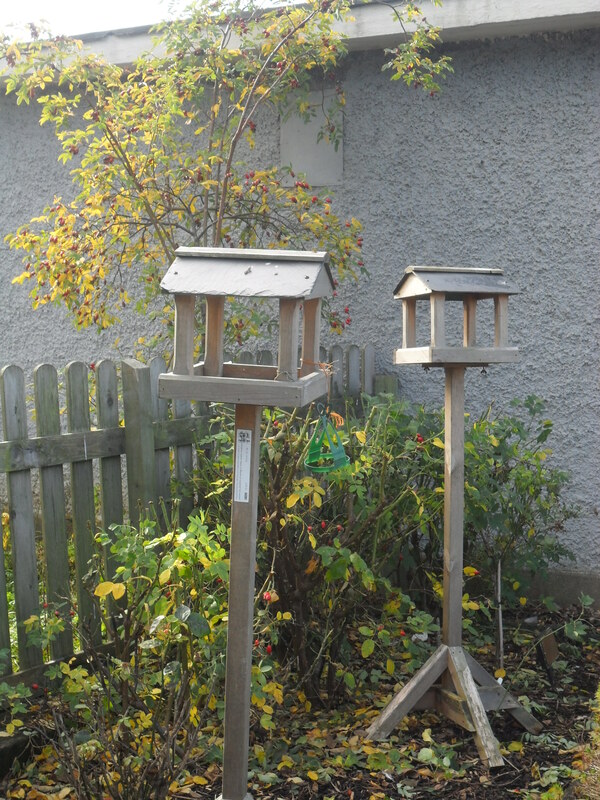 It features a herb area, alpine are, vegetable patch, bird boxes, a log pile, a leaf pile, water butts, wildlife area, compost heap and a native wildflower patch. 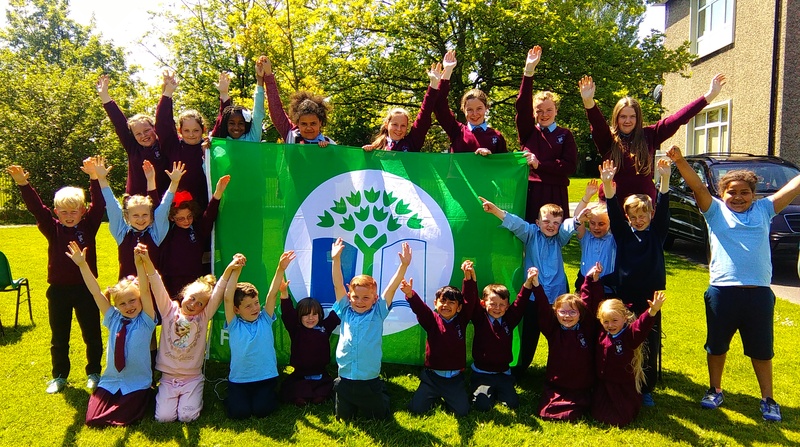 On receiving the award, teacher Ms. Walsh who is the co-ordinator of Green Schools at St. Raphael’s said, “This is a great achievement for St. Raphael’s. 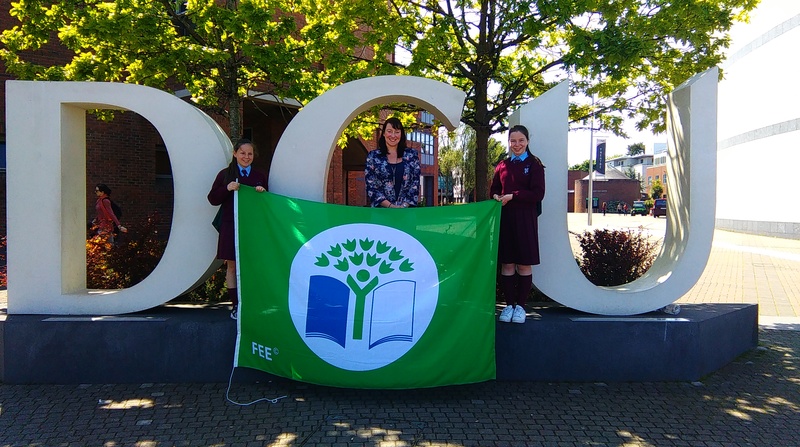 All pupils, parents and staff have worked very hard in caring for our environment and we are delighted to be here today receiving this award.” St. Raphael’s will immediately start work on the next Green Schools theme entitled ‘Global Citizenship- Litter and Waste’ and the principal, Caroline Larkin will be encouraging all pupils to secure the 6th flag in a row!